Wildlife Command Center's Mission is to deliver the finest quality wildlife removal and pest control service that is safe for the environment. We protect people from the hazards of nuisance wildlife in their homes or business. Our goal is to solve your wildlife problems while ensuring animals are treated in a humane and ethical way. We will help you resolve all aspects of your nuisance wildlife conflict. We utilize the latest technology and equipment to capture and relocate nuisance wildlife as humane and gently as possible. We repair any damages caused by nuisance animals as well as clean, deodorize and disinfect any effected areas of your home, business or property. We provide preventative measures to stop wildlife, nuisance animal, and pest infestations. Every employee at Wildlife Command Center is driven to earn the confidence of the people we serve by offering solutions to their evolving needs, and always challenging ourselves to reach the highest level of customer satisfaction. Rats, termites, and other pests are not only a nuisance, but can cause many health and structural damages. 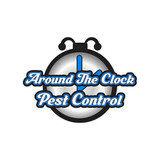 If you need fast, effective pest control services in Kirkwood, MO turn to Around the Clock Pest Control. Their experienced exterminators are available 24-hours and won’t charge you higher prices for the unconventional hours. They take the time thoroughly inspect your home to address all entry points. Their technicians are trained and certified as pest control experts. Led by Ronald Skaggs, who brings over 12 years of experience to the company, these Kirkwood exterminators provide unparalleled services that are safe and lasting. Call us today to schedule a service! 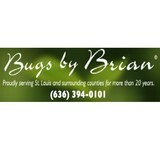 Bugs By Brian is a full service, commercial and residential pest control company. We eliminate unwanted insect pests in your home or office. We handle all pest and rodent problems in single family and multi family structures, as well as, entire communities. We service industries like, manufacturing, banking, retail, office and commercial buildings and all property management companies. All of our staff are insured, state certified and highly trained, pest professionals. We are reasonably priced. We are your one-stop solution for quality pest and animal control! We have over 21 years of experience and committed to going above and beyond your expectations to deliver the best customer service experience. We specialize in: * Ant Control * Spider Control * Roach Control * Bee & Wasp Solutions * Termite Control * Mosquito Control * Bed Bug Control * Rodent Control * And More Visit our website at <a rel="nofollow" target="_blank" href="http://www.paskepestcontrol.com/">http://www.paskepestcontrol.com/</a> for more details or call us today to schedule an estimate! 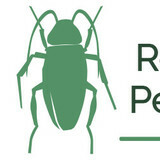 Responsive Pest Control is a locally owned and operated pest control and exterminator service that offers affordable and honest pest removal services that will guarantee you and your family a pest free home. 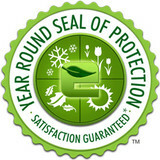 Healthy Home Pest Control & Services is committed to excellence in every aspect of our business. We uphold a standard of integrity, bound by fairness, honesty, and personal responsibility. Our distinction is the quality of service we bring to our customers. Accurate knowledge of our trade, combined with ability, is what makes us true professionals. Above all, we are watchful of our customer's interests, and make their concerns the basis of our business. We have over 35 years combined experience in the pest control and lawn care field. Call us for a FREE QUOTE!!! Squirrels and birds may seem cute, but they’re less cute when they’re invading your home. In Hillsboro, MO, businesses and homeowners can trust Trapper Joe's Nuisance Wildlife Control to take care of bats, raccoons, squirrels, birds, or skunks, and more. We offer humane and ethical methods for removing these pests and keeping them from coming back. Whether you would like us to use preventative measures or you need us to deal with an emergency, Trapper Joe’s is here to help. 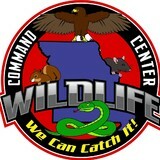 Call us today for wildlife removal or control. Unwanted guests are never fun, especially when you can’t ask them to leave. Luckily, Murphy pest control companies have no problem kicking them out. Whether there’s a rodent in your basement or insects in the attic, call your local Murphy exterminator to take care of them — do not try to wrangle them out yourself! Not sure which type of home pest control service in Murphy, MO can tackle your issue? Read profiles and ask about their past experiences to get a good idea.